I fell head over heels in love with The Gambill Estate last year when I was fortunate enough to capture a vintage-glam inspired wedding with one of my favorite couples of all time, so when another couple reached out to me about capturing their day at the same venue, I was amped from the get-go. 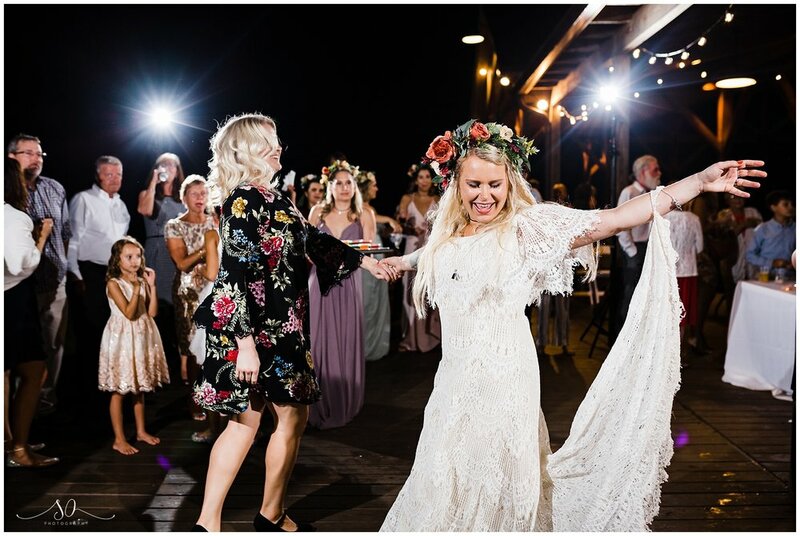 As I would come to find out, this bride in particular might certainly be my spirit animal twin and the day they were planning was absolutely dreamy. Adleigh and David added boho-inspired decor (including a teepee), transforming the venue into a whimsical wonderland of folk-love. The ladies got ready in the glorious bridal suite overlooking the mountains, in the cutest palm leaf robes. Boho braids were the theme between all the women, with complimenting yet completely different maids dresses completing the look. The moment when the dress was zipped up and the wedding day became real, both the bride and her mother were overcome with emotion. The boys got ready while setting up all of the decorations for the day in-between rain bands, pulling double duty and yet somehow still managing to look absolutely dapper just in time to walk down the aisle. The pair chose to have a first look, allowing themselves an opportunity to see each other before the ceremony and take in the magic of the day. A dreamcatcher hung from an arch wrapped in dangling florals atop the field overlooking the mountains, adding a unique touch to their ceremony. The couple had a small and intimate formal party, who happened to be a ton of fun! Thanks to the pair opting for a first look, and a little bit of increment weather, we captured their portraits intermittently throughout the day, capturing Gambill basking in sunshine and with smoky clouds rising amidst the trees. We even got up to the top of the estate to capture the sunset! David and Adleigh had their first dance inside the barn and then danced the night away outside, finishing the night with a sparkler send off!